Noreen has lived in sunny Winnipeg all of her life, and with her soul mate for 43 years. Her daughter and her delightful 4 year-old grandson live nearby. Noreen became aware of the North Island Quilters for Community Awareness through their premier collection and the related "Planting Seeds of Hope..." book. She was so moved by the book that, in addition to spearheading the sale of over 300 books, she came to Courtenay to see the Art Collection and attended the final Gala and auction where she brought several bids from Manitoba. That same weekend, Maria Box generously shared her enthusiasm, her expertise and her fabric stash to help Noreen translate a favourite sunset photo into fabric art. What fun! Noreen feels very honoured to be a guest artist for the, "Turning the Tide…one ripple at a time", project. 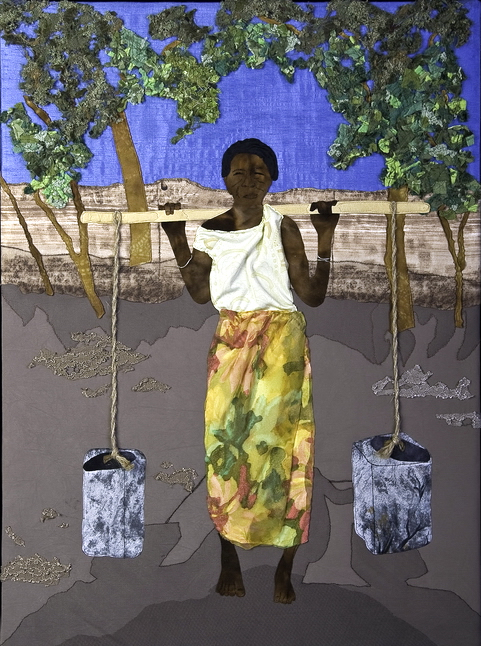 As a grandmother - having lost an adult son, and having visited Zambia and seen the plight of those grandmothers first hand- supporting the "Stephen Lewis Foundation: Grandmothers' Campaign", was a natural choice for her. She has traveled in many (*2/3) world countries, but she was never as moved by the gravity of any situation as she was by what she witnessed in Zambia. Even with our help, those courageous grandmothers can't do it alone. Draw the circle wide! Noreen is a member of Grands 'n' More, Winnipeg. (*2/3- because two thirds of the people and countries in the world are poor). Gillian is new to this art form and honoured to be a participant in the ”Turning the Tide…one ripple at a time” project. Throughout her life, Gillian has sewn clothes and home furnishings and for some years was a weaver of traditional patterns. 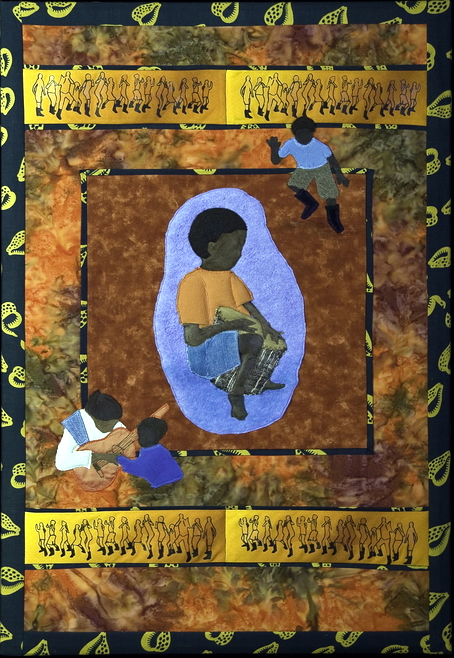 It was the quilts in the project “Who will Plant the Seeds of Hope” in 2008 that inspired her to learn the basic techniques of quilting from Maria Box, whose patience and encouragement, not to mention her own inspiring work, has been a true gift. Gillian is passionate about fabrics – their texture, colour and behaviour. She is discovering, in this medium, a new and exciting challenge. In textile art, the fabric must be explored in close detail and in relation to the whole piece - colour, shape and texture must work together to create the desired effect. She finds the whole process very satisfying and plans to continue quilting and learning new techniques. Val has been sewing since her teens, but it is only within the past five years that she has become more involved with quilting. She has experimented with quilted art ‘post cards’ and two or three other small quilt art projects, but this piece is her first real foray into textile art. Margaret has sewn and dabbled in many crafts over the years. When she lived in Kitimat in the 1980's and 1990's, she joined the Art Club and explored watercolours and acrylics. 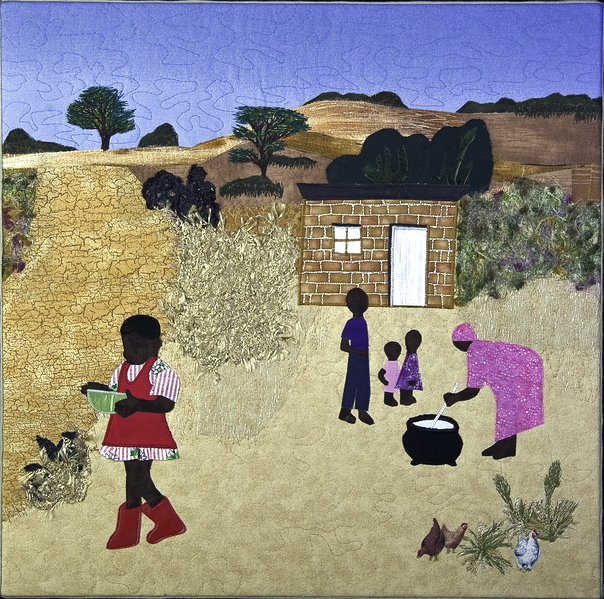 In 2005, she was feeling the "need" to do something more than traditional quilting. 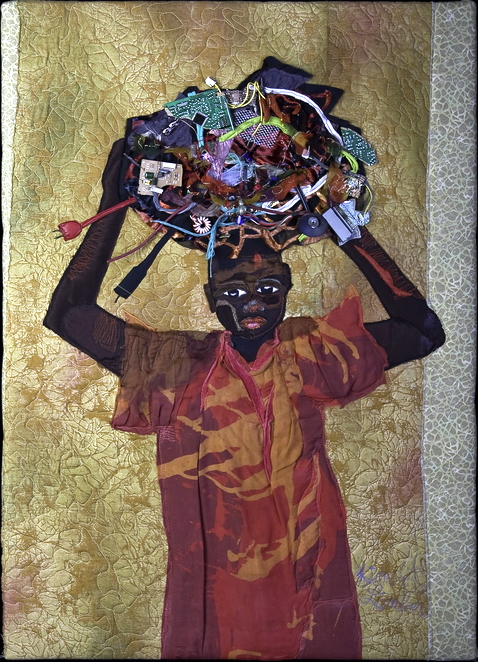 With encouragement from her family and friends, she started exploring different ways of working with fabric of all kinds, much of it recycled clothing, that included painting, beading, distressing, melting, heating, sewing metal shim and mesh. She became a mixed-media artist. Margaret has been with the North Island Quilters for Community Awareness for almost four years and she enjoys the camaraderie they share. She loves the way they can be given a topic to work with and all come up with different ideas. She belongs to the Comox Valley School House Quilters Guild, the Parksville Quilt House Quilters Guild and several small quilting and fiber arts groups. Florence was introduced, at a very early age, to the world of fabric. Both her mother and grandmother were seamstresses and tailors and they taught Florence to sew. 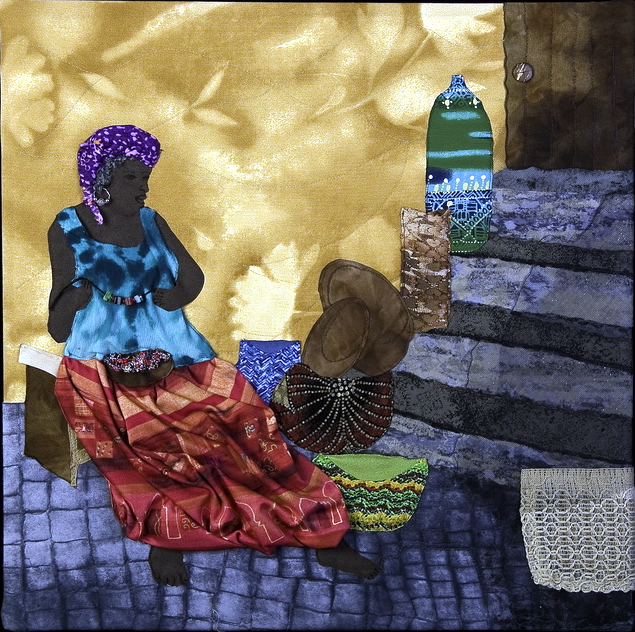 After retirement, Florence entered the world of quilting and fabric art, where she explored many new manipulation techniques such as the use of a heat gun and substances such as tyvrk, slovy, foam and paints, to enhance her designs. 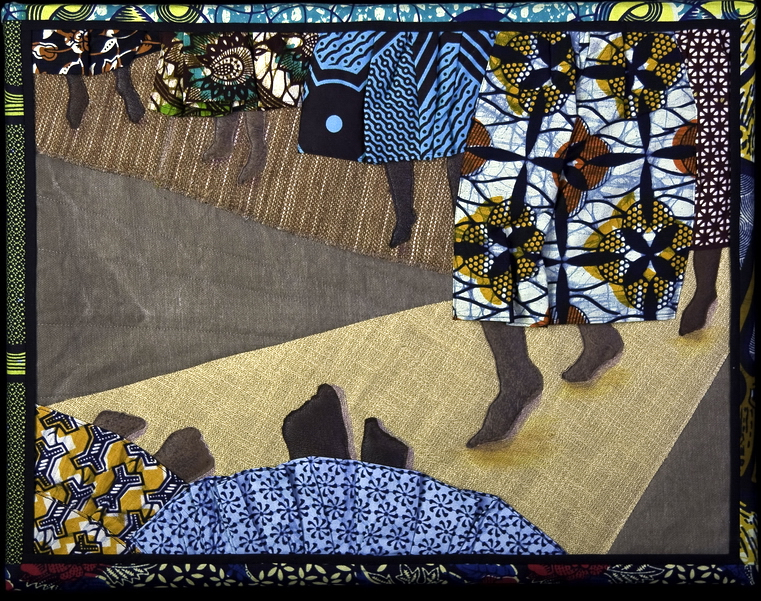 Florence’s goal is to continue assisting various community projects with her fabric art creations. 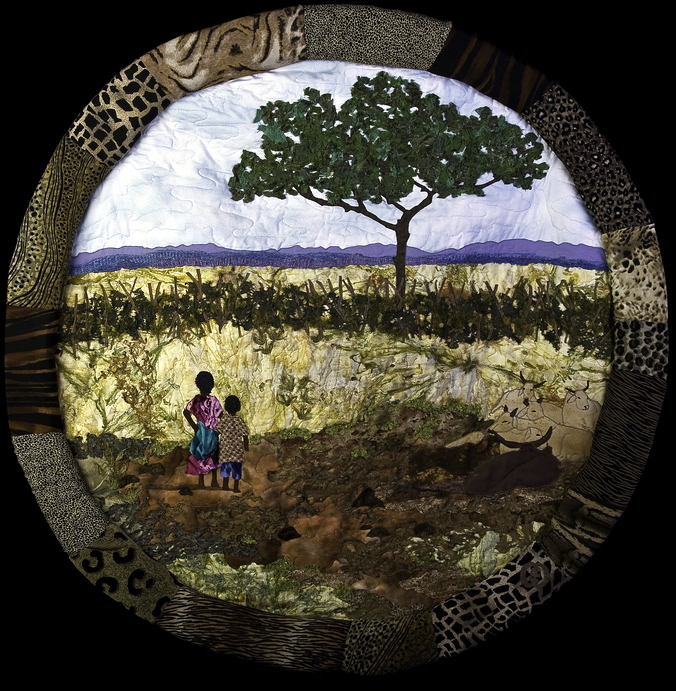 Each of her pieces reflects her love of life, nature and exploring the deeper questions facing humanity.